CRPF Recruitment 2018 For 661 Medical Officer, Specialist Medical Officer, Dental Surgeon Posts. This is a very good news for all job seeker who is waiting for Central GOVT job that CRPF released the job opening notification for 661 vacant positions. All interested and eligible candidate are requested to check al the recruitment details before applying for this job. Latest CRPF Vacancies, CRPF Interview dates, CRPF Syllabus, CRPF interview question pattern, CRPF Exam date are updated regularly. 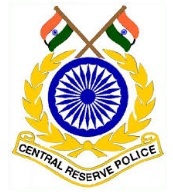 Applicable Candidates can view CRPF Recruitment Details. To get more Freshers Government Job, Bank Opening , GOVT Jobs, Graduate Vacancies Visit www.freshers-job.com. MBBS/BDS/MD Degree or Diploma degree from a recognized University OR any equivalent qualification recognized as such by Central Government. The candidate has to match related age criteria to apply for this post. Medical Officer Posts 30 Years. Dental Surgeon Posts 35 Years.